1990’s reissue of an older Tamiya kit. 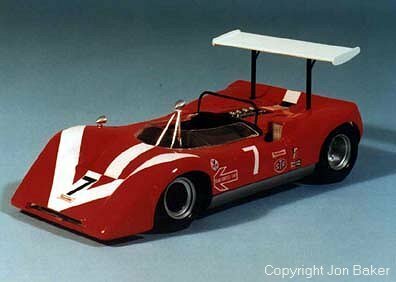 John Surtees 1968 Can-Am racer. Painted Tamiya Italian Red.